There is a growing need for men to look good. They are opting for microdermabrasion to enhance their looks. Apart from proper grooming, they are also taking care of skin and hair. So many cosmetics products for men makes it increasingly easy. It is believed that men are hard creatures, those who are bereft of any delicateness. But the current times are speaking another language; men are at an increasing need for beauty treatments. The growing consciousness in men about their appearance has been the trend in the recent years. Woman are not the only one with a desire for looking good. However, there is nothing strange about it as the desire to appear flawless emanates from the wish to portray a more confident self. Most men are opting for microdermabrasion which is a deep exfoliating action, cleansing the skin and the pores internally. A few sessions of microdermabrasion makes the skin tone lighter and makes it look fresh and clean. Men have the habit of shaving regularly which often damages the skin cells on the surface. Also, clogged hair pores can lead to pimples causing irritation in the skin. Microdermabrasion once a month followed by a minimal daily moisturising session can restore the natural glow on the face of men. 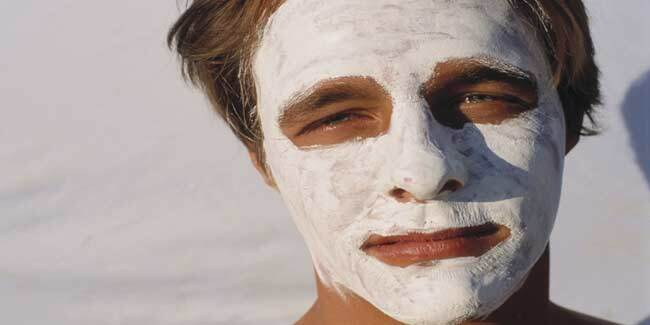 Men should use creams that have a minimum of SPF 15 to prevent tanning. Many men do have sensitive skin and sunburns can pose a serious problem for many, causing irreparable damage to the skin in the long run. Use rose water on the face after shaving everyday followed by the application of shaving cologne. This is the least that men can do to maintain a blemish free skin. Another tip for men is to keep their teeth in good condition. A normal brushing routine is not enough. Teeth do undergo discolouration after a certain point of time if they are not flossed and cleaned properly from the sides of the gums. Several men opt for a professional teeth whitening session. After all, who would not fall for a warm smile? For men, the corners of the nails also need care. Often, men with crooked, twisted and disfigured nails are assumed to be unhygienic and careless. Regular filing sessions along with occasional pedicures and manicures can be a great way to look attractive. Hair styles and hair cuts are a direct pointer of the kind of person we are. Be it the Beckham-cut or the grunge look, hair styles have been far more experimental in the case of men. However, men should be cautious when choosing their next hair style. Factors such as the volume of hair, hair type and the face structure play a crucial role in making the right style statement. At times, even a basic trimming can do the trick if you want to maintain a hair style for some time. Many cosmetic companies have finely crafted and prepared design equipments and cosmetics for men. This is preferable rather than the general ones that women apply. Men have coarser skin and not all products suit them. Different hair styling gels can also do the trick for an ultra-fashionable stance. Avoid local hair styling gels as they may damage the hair in the long run and make the scalp dry and prone to dandruff. How to deal with hating your body?